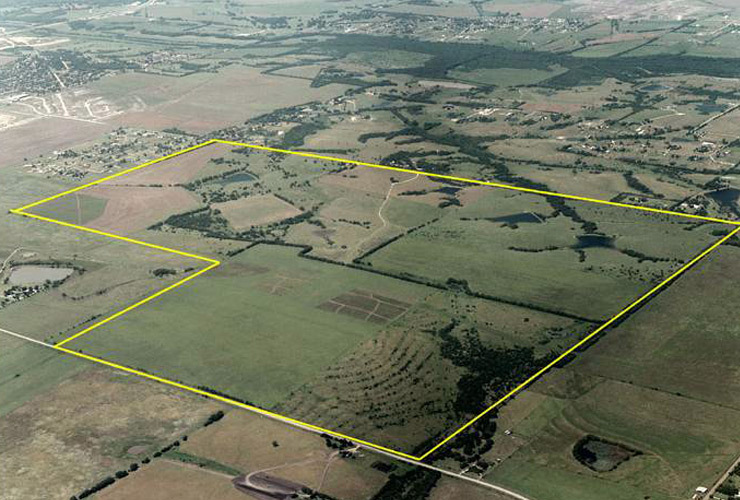 This was a raw tract of land located on the east side of Dallas in the Dallas Extra Territorial Jurisdiction consisting of approximately 921 acres. Wynne/Jackson was able to plan, engineer and entitle the project including the formation of three municipal utility districts (MUDs) with the consent of the City of Dallas by a bill of the Texas Legislature for the property. The MUDs provide for the return of some infrastructure costs by way of an ad-valorem property tax paid on the finished lots and homes. The project was successfully sold to a developer within a two-year time frame who subsequently developed the property.